Regular readers of this blog will know that this month I have been writing about obstacles and challenges that impede our progress in business. Today I’m sticking with the theme but from a different angle. Sometimes our problems assume greater proportions than they really deserve so I think it’s time for some context. 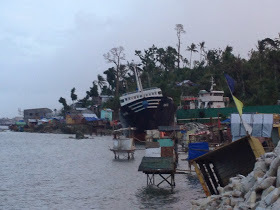 In the first week of November 2013 the strongest typhoon ever to make landfall hit the Philippines. 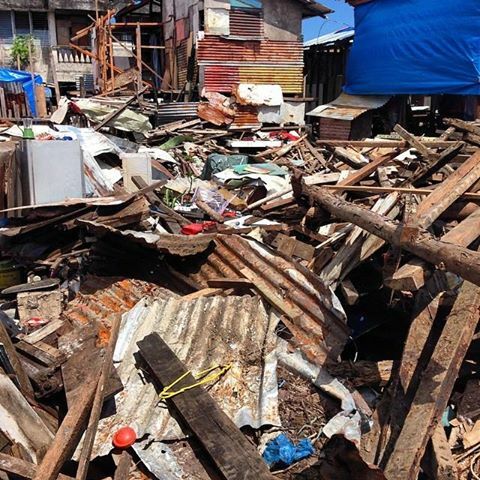 Typhoon Haiyan (Yolanda) killed more than 5000 people and destroyed the homes and livelihoods of thousands more. The typhoon flattened houses, business premises and more. Large boats were washed ashore where they still remain. The devastation is unimaginable. The rebuilding will take a long time but before it can happen land needs to be cleared. This was once someone’s home. When you see Jenny and Robbie’s photos and read their blog you realise that the obstacles and challenges we face in our lives and businesses are tiny in comparison. That’s not to say that our obstacles and challenges are not important however I hope these photos will give a better sense of perspective. All Hands Volunteers are busy clearing these sites to allow re-building. They are working with the local authorities and other charities to ensure that the work is properly planned and executed. In this blog post Jenny explains the work. Can you help? I’m giving something in return! In addition to giving their time and labour Jenny and Robbie are fund raising for All Hands Volunteers and I am trying to help. That’s where you come in! I would like you to donate to Jenny and Robbie’s fundraising efforts, but this week (until May 24th 2014) I’m offering something to help you overcome your business development obstacles in return for your donations. If you are in the London area we can meet in person, if you are further afield we’ll make use of technology. Wherever you are we’ll find a way. All you have to do is to make your donation on Robbie and Jenny’s Just Giving page and then email me a copy of your Just Giving receipt, I’ll then be in touch. Please hurry. Jenny and Robbie finish their stint with All Hands this week and would like to hand over their donation before they leave. As I write this they are just £45 short of their £1000 target. I know there is some more money to come in and I think it would be the most marvellous surprise for them to find that they had smashed their target with help from people who don’t know them. I hope you can help. Thank you. 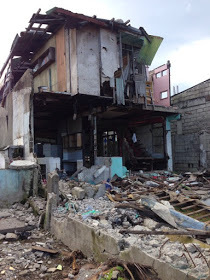 This entry was posted in Business inspiration, Marketing, Small business advice and tagged disaster relief., fund raising, Marketing planning, Typhoon Haiyan by glendashawley. Bookmark the permalink.